(CHARLESTOWN, NEVIS–THURSDAY, JANUARY 20TH, 2011) Premier of Nevis, the Hon. Joseph Parry told an attentive audience at the Four Seasons Resort, that the former animosity of St. Kitts and Nevis must be buried in order to move forward. He made the call during brief remarks at the Premier’s Gala on Saturday. The Premier also stated that he did not believe any man or woman should make an issue out of the relationship between Dr. Denzel Douglas and himself because they were both working on the development of St. Kitts and Nevis. “The Prime Minister and I have done great things together and there are many more great things to do,” said Premier Parry. 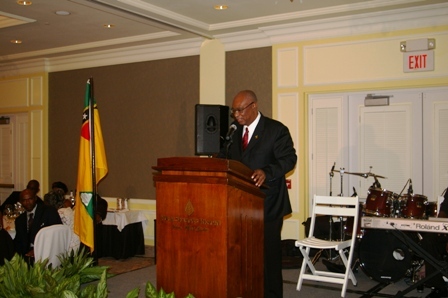 Following the profound statement, Premier Parry received a rousing applause from Kittians and Nevisians alike. 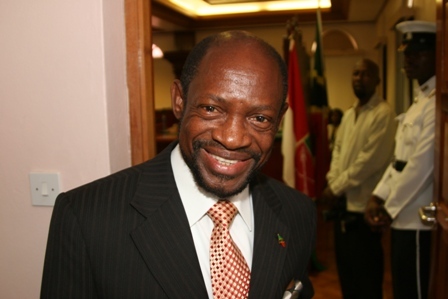 It was pointed out by the Premier, that those persons, who spoke about Secession today or the past relationship between St. Kitts and Nevis, were not around or could not be found when the Premier and others marched or made statements about receiving Secession for Nevis. Mr. Parry said it was never the mandate of the Nevisians fighting for Secession to be independent but to go as a sovereign of Britain similar to the status that Anguilla has today. “I am pleased that we [Nevis] did not succeed with gaining that status because we might have similar problems to what Anguilla has today,” said Premier Parry. Honorable Joseph Parry informed the sold-out affair, that it was a fact that Nevis had more power in Nevis that Anguilla had in terms of policies and issues. “So Mr. Prime Minister you have your job to do on St. Kitts and I have my job to do on Nevis and together we are going to make merry music in this Federation,” stated the Premier.